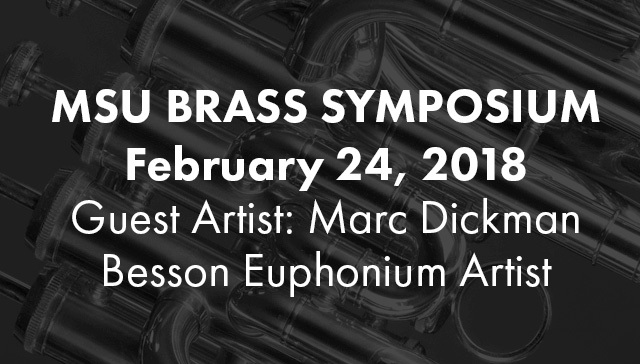 The February 24, 2018 MSU Brass Symposium is an opportunity for brass musicians high school and older to learn and perform with national guest artists and the MSU brass faculty. Dr. Dickman earned degrees from Troy State University, McNeese State University, and the University of North Texas. His versatility on euphonium, trombone, bass-trombone, and tuba in the classical and jazz styles places him in much demand in the United States. At UNF he teaches applied low brass and jazz ensemble. He is a winner of the artist division of the International Leonard Falcone Competition. His students have won awards in the jazz and classical areas. 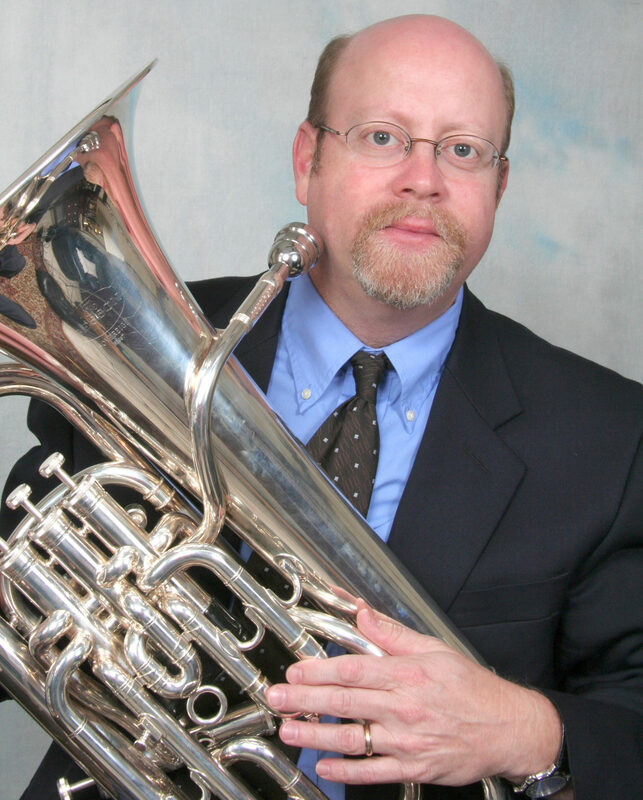 Dr. Dickman is a founding member of the groundbreaking jazz ensemble, the Modern Jazz Tuba Project. The MJT Project has two critically acclaimed releases; Live From the Bottom Line, and Favorite Things. Marc’s CD, A Weaver of Dreams, is available at cdbaby.com. Dr. Dickman hosted the 2013 SERTEC at the University of North Florida on March 8-9. 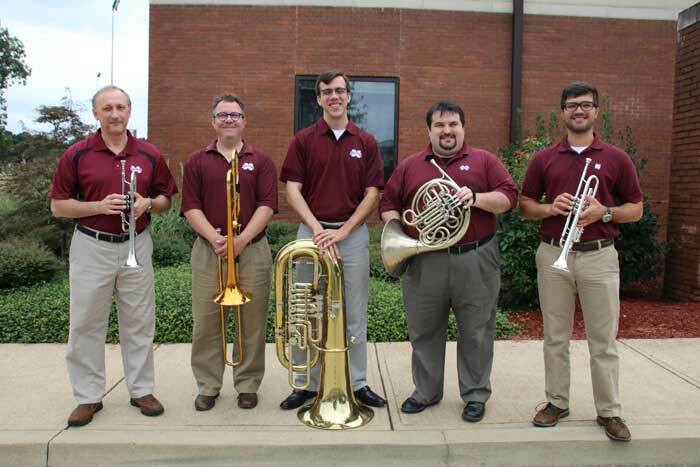 In addition to guest artist Dr. Marc Dickman, the MSU Faculty Brass Quintet will perform music from their recent south Mississippi tour and lead Symposium sessions on warmups and daily routines, chamber music and its benefits for individual musicianship, and excerpts for band and orchestral auditions. Dr. Rosângela Sebba combines an active concert and teaching schedule, and is noted for her lecture-recitals and research in Brazilian music, specifically the music of M. Camargo Guarnieri. She has given recitals, master classes, and lectures in the United States, Brazil, Mexico, Portugal, Costa Rica, England and Spain, including national and international conferences such as, the College Music Society, International Villa-Lobos Conference, London International Piano Symposium, LIII Música en Compostela, and International Double Reed Society. 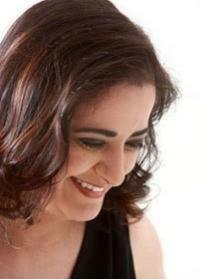 Dr. Rosângela Sebba is a Steinway Artist. 3:30 pm Guest Artist Recital: Marc Dickman, euphonium with Dr. Rosangela Sebba, piano and Blake Lowman, guitar; Caleb Mooneyham, drums; Nathan Smith, bass. 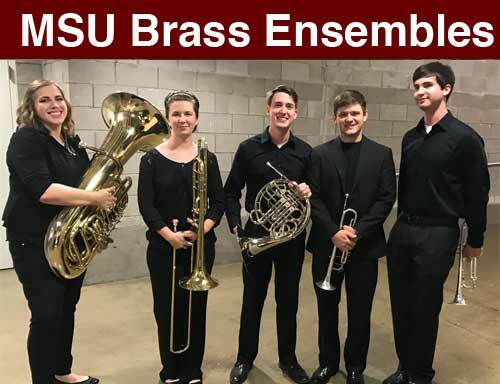 The 2018 MSU Brass Symposium will be held February 24 at the MSU Band and Choral Rehearsal Hall on the campus of Mississippi State University: 72 Hardy Road, Mississippi State University.